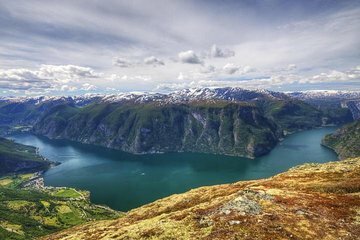 See the best of southern Norway in the company of just your party and a guide on this full-day tour from Oslo to Bergen. Get picked up from your hotel and travel by minivan to Flåm. Upon arrival you have three options: To ride the famed Flåm Railway to Myrdal, then the Bergen Railway to Voss; to cruise through UNESCO World Heritage-listed fjords to Gudvangen, or to remain in Flåm and explore independently. Whichever you choose, you guide will collect you at the end and drive you to your hotel in Bergen.